As a writer, I get asked many questions about my writing process so I decided to list some of the questions and answers I am asked most frequently. Here’s my author Q & A’s. If you’d like to ask a question I’d love to hear from you! It’s Q and A time! Q: How do you develop your characters? A: When I am deciding on a character, I think about their role in the story and then sometimes take bits and pieces of people I know, have met, or have watched, and then add layers to them. Other times I invent the characters I need to create the story. I’m a people watcher and so that helps too. 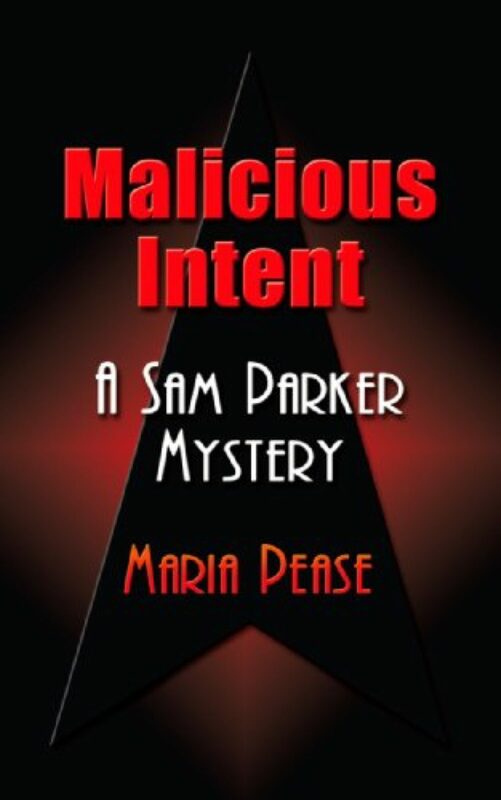 Q: When is the next Sam Parker Mystery coming out? A: I will post it here when it’s ready. I’m writing the third Sam Parker novel now. A: It usually takes me about a year. I tend to do a lot of research for each of my story lines and that, along with the writing and editing can take some time. Q: Would you ever consider making Malicious Intent and Malicious Secrets into a movie? A: I would definitely consider it. Honestly, it would depend on a lot of the details. I admit, I’d love for more people to get to meet Sam, Frank and the gang. Q: Did you have any role models who encouraged you to write? A: Not really. I was painfully shy so although I wrote all the time, I didn’t share. When Malicious Intent was a little more than halfway through, I mustered up the courage to let my mom read it. She loved it and said she didn’t know I could do that. She encouraged me to keep writing and was pretty excited about it. That was very motivating for me. Q: I love Frank and Sam’s relationship. Are they going to take it to the next level? A: I wouldn’t want to ruin it for you! You will just have to read the books and find out. Q: Will you be doing any book signings when Malicious Secrets comes out? A: I’m not sure. We are exploring our options right now. I am available for speaking engagements and to do workshops. To get additional information just send me an email or give me a call. Q: Why do you use Temecula, California for your setting? A: I have lived in Temecula since 1994 and one of the things I love about using Temecula as my primary setting for my Samantha Parker Mysteries is that I enjoy scouting real locations and using them in my books. That way you, as a reader, can feel like you can walk in Sam’s shoes. If you have a business here, you may find it in one or more of my books! Q: You don’t give a lot of information about Sam’s background. Will you tell us more about her? A: Yes. There will be more information given as the series develops. Q: How many more Sam Parker mysteries are you planning to write? A: At least five, but I love writing this series so there may be more. I thought it would be fun to have you submit your questions to me so if there is something you want to know, please ask. I will answer all new questions, so please check to see if your question is already listed before you post, okay? PreviousHave a Fun & Creative Speaker for Your Next Event!